Shakespeare at The Hollywood Fringe Festival – Yes, please! 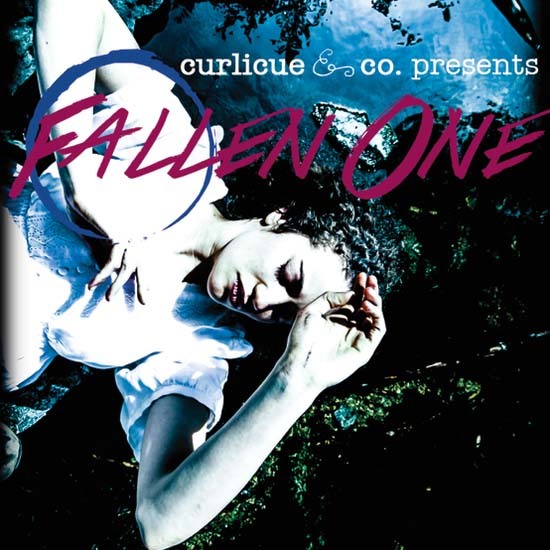 O, FALLEN ONE is a new piece of devised theatre that explores Shakespeare’s fallen damsel from her point of view, designed especially for the 2013 Hollywood Fringe Festival from co-producers Jaymie Bellous and Megan Ruble. Both are recent graduates of UC, Irvine where they studied Shakespeare and UCI’s particular brand of movement, which stems from modern dance and mime technique. O, FALLEN ONE is the result of this communion of creativity. The piece explores Ophelia’s memories, dreams, and thoughts leading up to her death. As the doctors, nurses and loved ones fight to return her modern day counterpart to sanity, the young girl falls deeper into Ophelia’s reality. The original script by Sinan Zafar combines the words of Shakespeare and poetic movement, inventing a fluid world where loss, oppression, and untold stories can be examined. Jaymie Bellous directs. In addition to Ruble, the ensemble cast includes Amanda Carson, Chris Hull, Samantha Kellie, and Galen Sato. 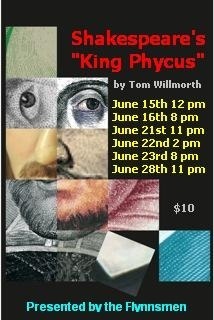 Performances run approximately one hour at The Underground Theatre, 1312 North Wilton Place, Hollywood, CA 90028. Click Here for tickets and more information. The June 7th performance is a Pay What You Can preview. Cast member Drew Doyle says, “Think Shakespeare meets Abbott and Costello, or iambic pentameter with knock-knock jokes.” He adds, “The Flynnsmen are 6 actors playing over 20 roles who all met as members of the A2 Ensemble at Antaeus Theatre in North Hollywood. We have a lot of fun doing the play and we think Fringe audiences will have fun watching it.” We agree that it sounds like a blast. KING PHYCUS is written by Tom Willmorth and stars Patrick Wenk-Wolff, Buck Zachary, Belen Greene, Drew Doyle, Abby Wilde and Jason Thomas, directed by John Apicella. Performances will take place at Elephant Stages, 1076 Lillian Way, Los Angeles, CA 90038. Tickets are $10. Click Here for tickets and more information. The Fringe is completely open and uncensored and its free-for-all approach underlines the festival’s mission to be a platform for artists to exhibit the most diverse and cutting-edge points-of-view the world has to offer. Hope to see you around the stages! I’m so happy to find a blog covering Shakespeare performances in the L.A. area! The theatre scene in this community can seem daunting at times. If you’re looking to see a non-Shakespeare play around town, I saw “Heart of Darkness” last night at The Actors’ Gang, and it was excellent. (I wrote a brief review of it on my blog, LaLookingGlass: https://lalookingglass.wordpress.com/2013/05/10/107/ .) Regardless, I look forward to hearing more about opportunities to see The Bard’s work from your site. We’re glad you found our site and are happy to provide as much Shakespeare news in Southern California as we can!